Welcome to the Office of Adult Learner Services (OALS) at the University of South Alabama! This office was established with you in mind! OALS is here to help you fulfill your dream of earning a college degree, and you might just be closer than you think! Let us chat with you about college credit you previously earned, and the opportunity to earn credit for prior learning through your profession. Or, if you decided to begin college for the first time, we are eager to help you navigate your journey as part of the Jaguar family. Whomever you are, or wherever you are in life, you belong at USA and OALS welcomes you. We are ready to provide guidance and support tailored to your unique situation, walking alongside you through this journey to graduation - The Office of Adult Learner Services is here for you! Alpha Sigma Lambda is pleased to announce that for the 2019-20 academic year it will grant a total of thirteen (13) $3500 scholarships. Students must submit their applications to the chapter councilor for review. Only Chapter Councilors may forward application packets to the Home Office after verifying your GPA, completed hours at the institution, and other required information. You may not forward your own packets. Packets received in this manner will be void. Check with the ASLHS Chapter Councilor at your institution for the date by which you must have your completed packet submitted in order to meet the submission deadline. Applications submitted by Chapter Councilors must be postmarked by April 26, 2019. Many adults who are leading busy lives would like to go to college or finish getting the education that they postponed. The University of South Alabama has created the Office of Adult Learner Services, OALS, to better support those students who have unique circumstances. 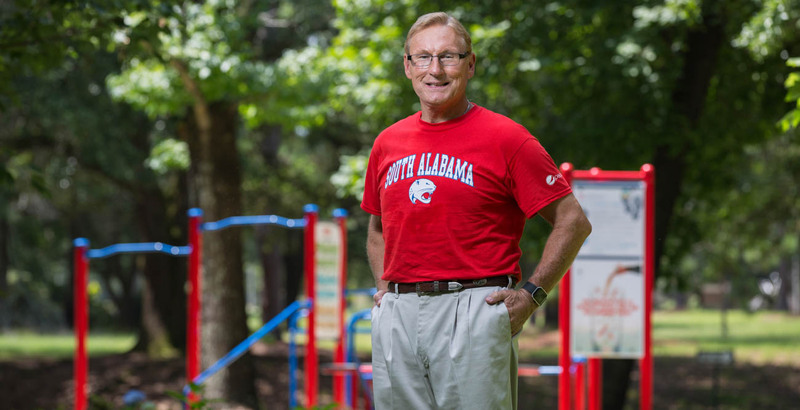 Fred Kelley is an inspiration and a celebrity to many in his home city of Monroeville, Ala. He's a longtime radio station announcer there, and he's gained notoriety by bicycling 90 miles to Mobile to raise money for cancer research. 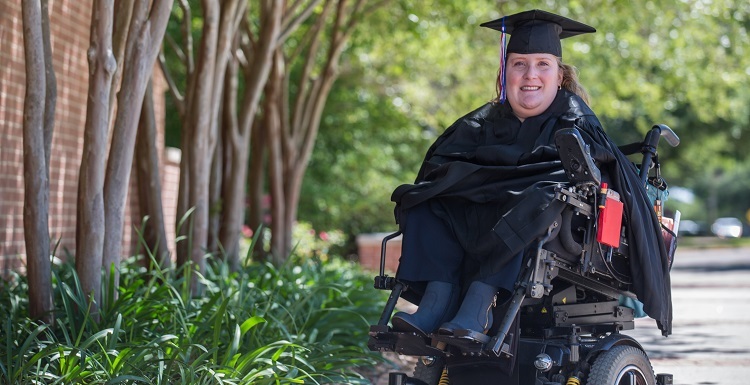 "I was born with spina bifida," said Jennifer Oveson. "I have had numerous challenges throughout my life, but my parents, Dianne and Gerald, reminded me that I could achieve anything I wanted to do. They said 'giving up is not an option.' And, they were right. I have learned I enjoy achieving my goals."